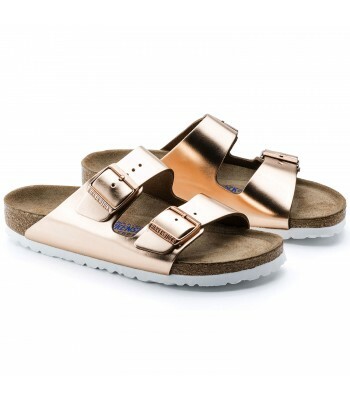 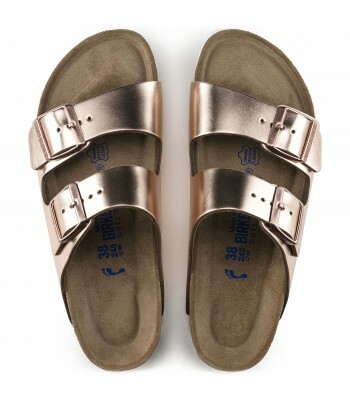 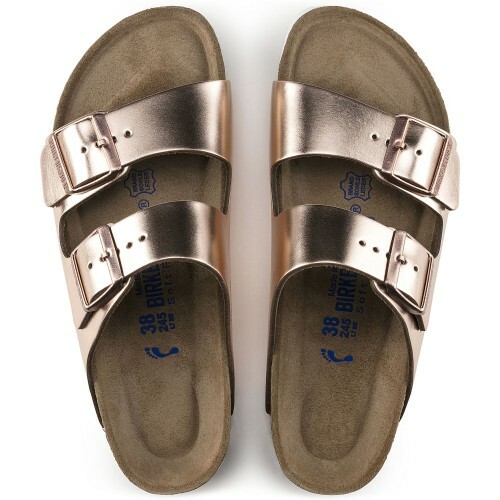 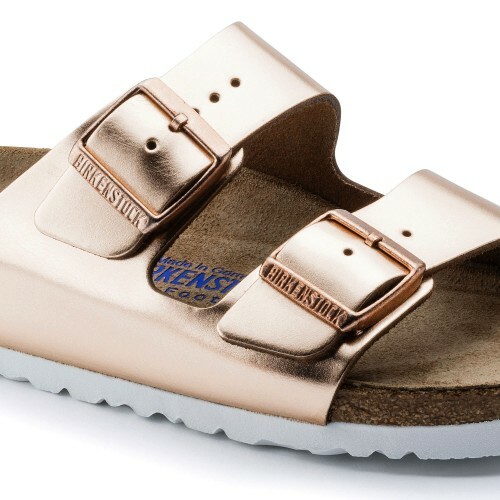 This is a new shiny metallic version of the legendary BIRKENSTOCK Arizona that's made of high quality leather. With this spectacular look, the classic two-strap sandal is a real eye-catcher and has the potentioal to become this season's trendsetter. 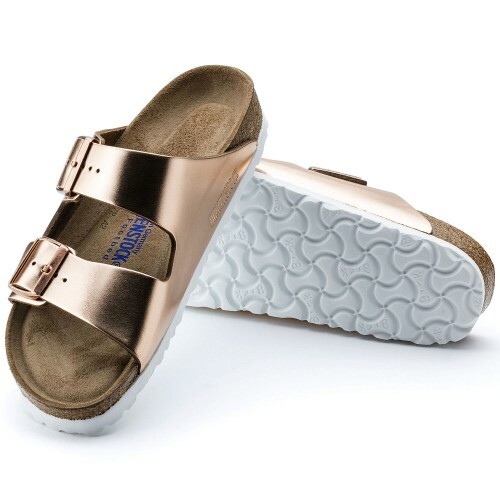 The soft footbed adapts to the shape of the foot for optimum grip and boasts exceptional comfort thanks to an additional foam layer.